Like many, I’ve always wanted to be free from the commute of a 9 to 5, being able to roll out of bed and not care if my shirt is ironed or I’ve had a shave. Technology should mean that I’m able to work in the comfort of my home. Unfortunately, my current job isn’t conducive to this lifestyle and instead, I’m up in the winter months de-icer in hand scraping my windows, heating full blast, trying to navigate those drivers that seem to be in such a rush, they forget that anyone else is on the road, really is that your job that important that if you aren’t there the business is going to stop trading? There is a way that you can find a happy medium between the commute and ability to work at home and that it building passive income streams. If you put in the work now, and you have a bit of luck who knows what having a passive income that works mean for your future. Quite simply it’s an income stream that is received on a regular basis, after you have put in the hard work. It can hit your account no matter what you are doing that day. Go for a walk, hit the gym, have a coffee with friends it doesn’t matter because you have income coming in from one of your passive income streams. Consider your 9 to 5 as just an exchange of money for your time and your employer has put a value on that time. Say your employer pays you £30,000 a year, you have essentially agreed that you time per hour is roughly £12.00 net, not factoring in pension contributions. Once you have done your day’s work that is it your employer isn’t going to pay you anymore. I’ve always known the importance of multiple income streams, but there are so many blogs and websites out there offering their perspective on what you need to do to get that passive income rolling in. What I found when looking at viable income streams is the abundance of crap that suggests that all you have to do is through together an e-book or blog and watch the money come rolling in. As nice as that sounds it simply isn’t the reality. The trouble is it can be difficult to separate those sites that truly want to help against those that just want you to sign up to their course or one that they are affiliated to so that they can make their own passive income from you. Why should you start investing in passive income stream creation? Unlike traditional work, the time that you put into passive income streams will, hopefully, pay you over and over regardless of whether you are actively working on them. At first you might want to set yourself a goal of in building a passive income stream of an extra £100 – £200 a month. What would this mean to you? Pay some bills, cut your debt or maybe find that you are earning enough to be able to cut down some of your hours in your 9 to 5. Earning a passive income won’t happen overnight and nor should you expect it too. Like anything it takes hard work and a pinch of luck, but once started the opportunities could be endless. The secret in building a passive income is not comparing yourself to those that promise to show you how they make six figure incomes. What works for them more than likely won’t’ work for you, and more often than not they are likely to be making their six figure income selling you a course. As I’ve already said there are many sources suggesting ways that you can make passive incomes, but not all of these are going to work for you and your current circumstances and you might not be interested in some of them either. Developing a passive income stream that you aren’t interested will only lead to disappointment when it doesn’t pay off. You need to take a long hard look in the mirror and decide why you want to make a passive income and review what actually motivates YOU! If you’re like me, you go through life asking questions of yourself and others daily. Why am I in the job that I’m in, how do I improve my situation, there must be more to life than doing what I’m doing, and that’s the thing as much as we are all individuals we share the same worries, insecurities and hopes and joys. So if you are able to tap into your inner problem solver and you are able to add value to someone else then maybe you might find your own road to success. Or maybe you couldn’t care less about adding value for someone else’s life and just want to make sure that you can make a passive income based on motivates you personally, that’s okay too. Information overload has always been my Achilles heel heal whenever I’m looking to invest in myself and find ways of changing my situation. The list of ways that we are told we can make a passive income can be overwhelming, but as I’ve already said finding the good from the bad can be overwhelming. Buying stocks in good companies can be a mine field if you don’t know where to start. I have a stocks and Shares ISA but admittedly, I don’t have the first clue about purchasing my own stocks and it is because of this I purchased the Naked Investor in the hope that it will give me some food for thought and put me on the right path to investing in dividend paying stocks. The great thing about savings as a way of earning a passive income is that it can be done by anyone regardless of education or background. Apparently we all have a book inside us and technology has made the possibility of being a published author even easier. If you have an active imagination or able or have knowledge that you think is useful then there is certainly potential in making money from an ebook. Remember just because everyone might have book inside them, doesn’t mean that book is necessarily going to be any good. There are many people making good money selling goods on Amazon or eBay and in some instances they don’t even have to hold stock. Essentially they are taking the orders and having them shipped, often by the wholesaler of the goods called drop shipping. You could also try fulfilment by Amazon too, here you send your stock to Amazon and they will pack and deliver the goods to the customer. Probably not truly passive as you will still have to source stock and if you have an item that sells well you’ll have to make sure that you are able to meet demand while at the same time ensuring that you don’t over purchase leaving you with stock that might not sell, so there is work involved after you have set up your account with Amazon, but if you are prepared to put in the work. Again opportunity is there for the taking. There are thousands of courses available on sites such as Udemy each created by someone that believes that they have a skill that they can sell to anyone that is interested. I’ve invested in some, and as you would expect some are better than others, but this is purely subjective, what I might consider an adequate course might be deemed as a five-star course rated course by someone else. The best courses that I’ve invested in are those that provide regular updates, therefore giving me the sense that these tutors actually want to help and not take your money and run, selling you an updated course a few months later. Everybody thinks that that can be a property millionaire by investing in a few properties, getting a few tenants in and sitting back and watching your asset appreciate in value and having the perfect tenant that pays their rent on time and treats your asset with the care and attention they would their own home. Because it’s that easy, right. We read those stories of bloggers that make millions every year from their advertising revenue and branch out to create products to sell to their impressionable audiences, but are you truly going to be the next YouTube sensation. Doubtful. I don’t know how much YouTube calculate their revenue split with their vloggers but for your channel to truly be worthwhile you are going to need to have a fair view subscribers and high levels of daily views to your videos to make it worthwhile and if you don’t keep your content fresh, what is the point. 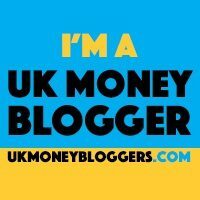 A blog is a great way to get your thoughts and ideas out there and if you can add value, there you go I’ve said it again, adding value, then you might be able to make a little extra income from your blog. If you choose to start a blog, you will have to make sure that you are able to put on many hats otherwise it isn’t going to be worthwhile, blogging isn’t easy, but done right, blogging can change your life. You are going to need to get traffic so you’ll need to know about search engine optimisation and also be your blog’s social media manager. You’ll have to know how to create content that not only sells but is also useful. People aren’t stupid and if you think that you can stick up a blog and getting people to trust you enough to make purchases solely based on your recommendations, you’ve got another thing coming. There are many ways to make a passive income and above are those that I believe offer the greatest opportunity to earn what truly is a passive income. Remember that just because it’s called a passive income doesn’t mean that you don’t have to exert any effort whatsoever. If that were the case everyone would be earning a passive income. The thing is not everyone has the time or inclination to put the work in to build something that might or might not benefit them. How often have you seen an idea and thought to yourself, I’ve thought of that. The thing is you aren’t the one doing it. Someone else was prepared to put the effort in to make their idea a reality.